This delightful local Museum for Weobley and the surrounding area stands on the site formerly occupied by the village police station and court. 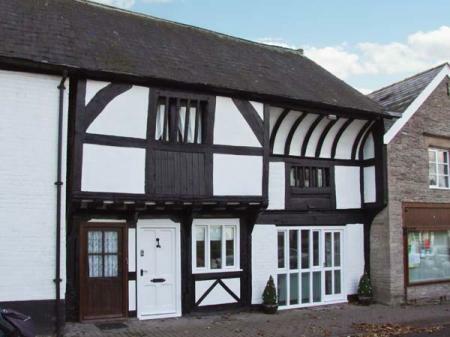 Weobley is one of Herefordshire's famous 'Black and White Villages', with a wealth of beautiful timber-framed buildings, and the museum has special exhibits on timber-framing and how half-timbered houses were built. 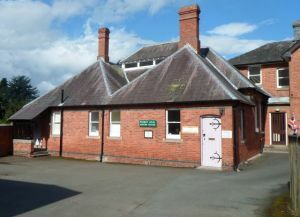 The museum also maintains historical archives for Weobley, including old photographs and historical documents along with several old maps of the area. See a display on Weobley Castle and exhibits of traditional farming tools. You can enjoy historical items discovered by a local metal detectorist, and a display on the life and career of Ella Mary Leather, author of 'Folklore of Herefordshire'. Mrs Leather was born in nearby Dilwyn but lived most of her adult life in Weobley. Her classic book was published in 1912. Another historical object on display is a longcase clock made by local craftsman Uvedale Davies in 1850. A special exhibit looks at Queen Victoria's Diamond Jubilee in 1897, with examples of royal memorabilia such as coronation mugs. A focus of the museum is to show how local people lived and worked in Weobley over the past 200 years. See a hot-water carrier used by the servants at Garnstone Castle and items from the Weobley Workhouse, where poor people found a home but had to work hard for their keep. The museum holds a large archive of local material, useful for family history reasearch. They have a catalogue of monument inscriptions in Weobley churchyard, parish records and accounts, and a collection of local trade directories over the years. See paintings and photos of local scenes in a 'then and now' style exhibit, and enjoy models illustrating how the village's wonderful array of timber-framed buildings were made. Weobley Museum and Local History Centre may be small but it packs a wealth of information. Location: On the site of the old Police Station and Court, beside the library.